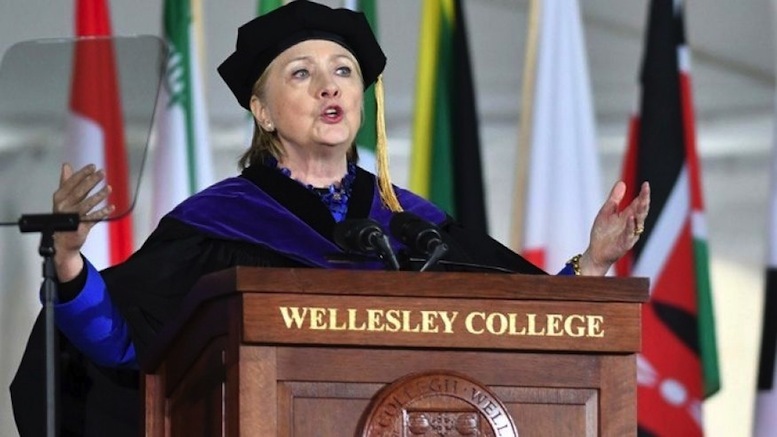 Speaking at a graduation ceremony at her Alma Mater, former Presidential candidate Hillary Clinton urged the assembled young people to go into the world with a dream of what they want to be and do. They listened in rapt attention as she told them from experience the important of sticking with it. She also reminded them that there are no short cuts in life. Be the first to comment on "Hillary Tells Graduates To Pursue Their Dreams & Hike In Woods When It All Goes Horribly Wrong"